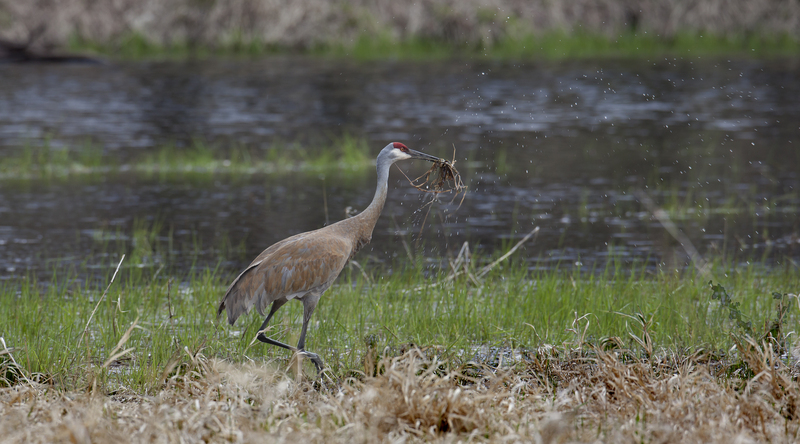 This single sandhill crane was observed engaging in nest building behavior – an unusual practice for a crane without a mate. Click on the images for a larger view. After a few days, the crane moved on and left the pond to the Canada Geese. Photos ©2014 Ted Thousand – all rights reserved.